Mrs. Helen C. (nee Fricker) Brennan, age 80, of Springfield, PA, passed away on April 4, 2018 at Paoli Hospital. Helen was born in Darby, PA, and was a graduate of West Catholic High School for Girls. 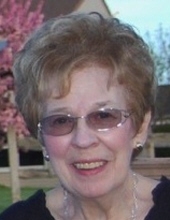 A resident of Springfield, PA since 1972, she was a devoted mother, grandmother, and great-grandmother and served for many years as a freelance organist at several area churches. Helen was a member of the Association of Church Musicians of Philadelphia (ACMP), and had a deep love of music. She was an avid pianist and organist and especially enjoyed accompanying her children and many local singers and instrumentalists. She is survived by her husband of 60 years, Allen J. Brennan, two sons, Joseph husband of Judy Brennan of Hainesport, NJ and Dr. Brian Brennan husband of Sarah Spratt of Arlington, MA, and a daughter, Dr. Kathleen Agren, of Morton, PA fiancé to Charles Tofsted. She is also survived by 11 grandchildren, 5 great-grandchildren, and was predeceased by her daughter, Mary Huesken, and a granddaughter, Heather Reid. Relatives and friends are invited to her viewing on Monday, April 9, from 7 to 9 p.m. at the Kovacs Funeral Home, Inc., 530 W. Woodland Avenue, Springfield, PA with an additional viewing at the Funeral Home on Tuesday, April 10, from 9:30 to 10 a.m. Mass of Christian Burial will take place at St. John Chrysostom Church, 617 S. Providence Road, Wallingford, PA on Tuesday, April 10 at 11 a.m.
Interment will take place at SS Peter & Paul Cemetery, Springfield, PA. In lieu of flowers, contributions may be made to the Lupus Foundation of America, Inc. by going to www.lupus.org. To send flowers or a remembrance gift to the family of Helen C. Brennan, please visit our Tribute Store. "Email Address" would like to share the life celebration of Helen C. Brennan. Click on the "link" to go to share a favorite memory or leave a condolence message for the family.